Father's day weekend to Labor day, Saturdays and Sundays 5PM to 9PM; Special & private events. West on Highway 52 to S. Deer Blvd. to Alphonse Road. Follow to the end. 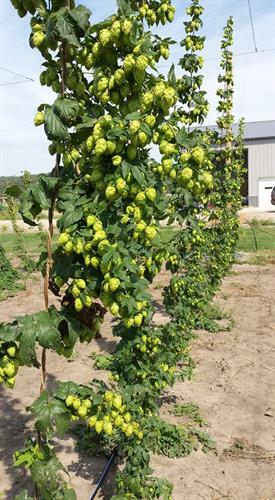 A modern pioneer family farm founded in 2014, 6th Meridian Hops grew to be one of the largest hop farms in South Dakota supplying uniquely Dakotan hops to breweries in the Midwest. 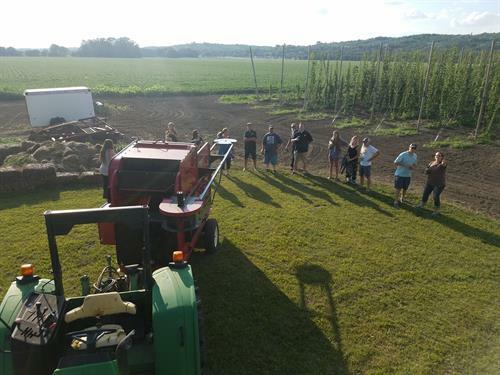 The Yard at 6th Meridian Hops opens on Father's Day weekend and runs through Labor Day on Saturdays and Sundays from 5 PM to 9 PM. 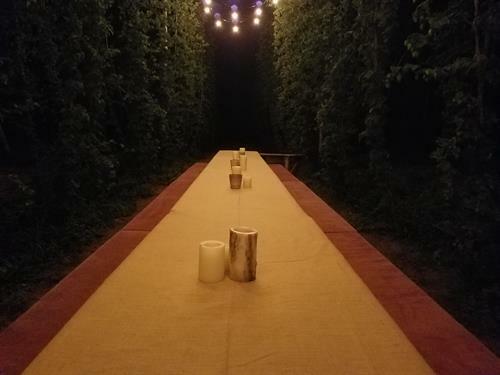 It is a unique experience to enjoy craft beer using locally grown hops poured from 12 taps out of a reclaimed barn wood trailer. Local artists play covers and their original music nightly. 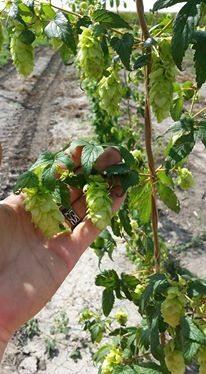 Tours of the hops explaining their growth and care to processing and unique flavors are available. 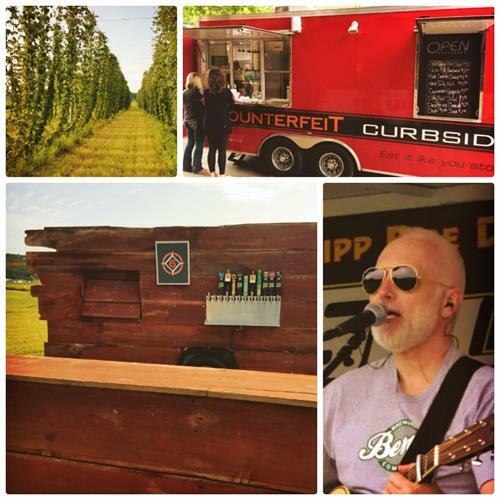 Amazing farm fresh cuisine is available from the family food truck, Counterfeit Curbside for an ultimate farm dining experience. This is a purely rustic, outdoor experience of South Dakota agriculture so be prepared to touch smell and taste!